The phone manufacturer, DOOGEE, has released several remarkable products already in 2018. Its latest range features three rugged smartphones. The affordable S55, the gaming-focused DOOGEE S70 and the upcoming digital intercom smartphone, the S80. The new DOOGEE S80 is well-equipped with a convenient walkie-talkie function and an exclusive rear pocket clip. 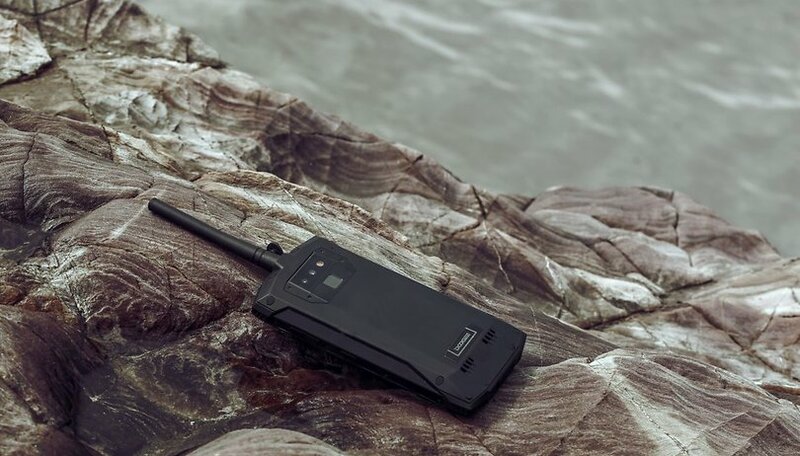 It is pleasing to see that DOOGEE is becoming more sophisticated in producing rugged phones to provide those who work outdoors with advanced tech and practical features. If you are a construction worker, outdoor inspection personnel or just an adventure enthusiast, the new IP68-certified S80 rugged phone may be the communication device for you. The DOOGEE S80, a combination of a digital walkie-talkie and rugged smartphone, was first brought to public attention at the Hong Kong Electronics Fair this autumn, and many fans have posted questions online, such as when and where will this device be available. The DOOGEE S80 is now available on Banggood, a Chinese online shopping platform. What's more, from November 11 to November 26, customers can take advantage of a special price of just $379.99 for a new S80. The timed promotion also includes free gifts such as a back clip, a free headset, an OTG cable, a phone stand and a case. The price will go back to its original $429.99 after the promotional period is over, so don't wait too long to buy if you are interested in this rugged smartphone. We know that the DOOGEE S80 is a 15ATM standard rugged phone, but what does that actually mean? The concept of ATM water resistance is usually applied to watches indicating the level of waterproofing built into the device. However, the same level of resistance against water damage has been achieved with the DOOGEE S80, which boasts 15ATM water resistance, a new standard that is suitable for recreational surfing, swimming, snorkeling, sailing, water sports and even free-diving. This is the first time that the ATM standard has been achieved on a rugged smartphone. The DOOGEE S80 really is: “Born for Extreme”. The DOOGEE S80 is a powerful combination of both a digital walkie-talkie and an IP68-certified rugged smartphone. An outdoor communication device would that can work without the need for a network is incredibly helpful for users working in remote locations. It also provides a zero-delay intercom for unexpected emergencies. It is especially practical in remote mountains, forests, isolated islands and desert areas. The device supports a wide range of frequencies between 400 - 480MHz and is effective up to distances of 10km. Furthermore, to make the sound of the intercom clearer and louder, the DOOGEE S80 features two speakers with HD sound quality. 10080mAh is definitely a massive battery for a phone. And it's perfect for a rugged outdoor phone. In order to make the recharging more convenient and efficient, the DOOGEE S80 supports both 12V/2A flash charging technology and wireless charging functions. What’s more, a 12MP SONY IMX363 camera is included too. While you can buy the S80 today, another upcoming model information has also leaked out for the first time - the DOOGEE S90. Actually, a common rugged phone is not really enough to turn heads nowadays, but what if the S90 is a modular smartphone? Based on reliable resources, we can reveal that the S90 will indeed be a modular rugged smartphone!